On sale for $79.95 incl. FREE Standard Shipping & Handling. e-pill Multi-Alarm POCKET On sale for $39.95 incl. FREE Standard Shipping & Handling. This Timer can be set up to 6 times per day and the alarms will automatically repeat. Recently Reader's Digest featured these e-pill Medication Reminders. Never forget to take your medications again! 30-Day Money Back Guarantee. One Year Warranty. FREE Standard Shipping & Handling (US customers only). 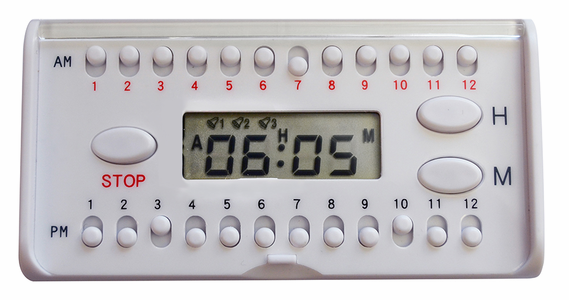 Get your e-pill timer alarm today!